Vireo. A Latin word which means “to thrive”, which also connotes growth or to prosper and flourish, just like the Avida Towers Vireo, a fresh and the newly emerging condominium community in ARCA South Bicutan, Taguig. This exclusive and masterfully-designed condo residential development project is Avida Land’s ( the building arm of Ayala Land, Inc.) newest community development inside the equally master-planned mixed-use development of Ayala Land’s ARCA South. The Avida Towers Vireo, which features 3 high-rise residential towers, present a brand new way of living allowing you to blossom and thrive into a more responsible citizen of the land. The refreshing ambiance at this paradise of an oasis in a premier city south of Metro Manila, where first-class resort-inspired amenities also thrive, the well-designed residential units are bigger and offer more breathing spaces perfect for starting and growing families and also for young professionals who yearn for an abode that makes them feel more relaxed and sublime. The Avida Towers Vireo, the latest condo community for sale in Taguig City, is situated along the South Union Drive, ARCA South, Western Bicutan, Taguig City, Metro Manila. This new address of a pristine living is in close proximity to all your needs, such as commercial centers, medical institutions, shopping centers, churches, educational institutions, entertainment centers, workplaces, fine dining restaurants, and other key destinations in the metro. Moreover, this residential project has a modern contemporary design set in a location where you can expand your world as it is situated just a few minutes drive from the equally thriving central business districts of Taguig (especially BGC), Makati, the Ortigas Center, Alabang, Parañaque, Manila, and other major destinations in the metro. The ARCA South itself, a-74-hectare Ayala Land’s premier mixed-use development estate and the newest fully-developed central business district of Taguig City, has more retail establishments, commercial centers, corporate offices, entertainment complexes, residential developments, and other institutions of various nature where you can go shop, dine, and work without going far from your home. The Avida Towers Vireo at ARCA South Bicutan promises a new level of living where you and the family could enjoy state-of-the-art facilities integrated with equally astounding amenities built brilliantly within a great space for a sense of exclusivity and utmost privacy that correspond to the needs of unit owners. The residential units come in a variety of sizes designed to promote more breathing spaces with breathtaking views of the skyline of the city and the adjacent cities. The units come in Studios (with 23sqm of floor area), 1-BR units (37sqm), 2-BR units (51sqm), and 3-BR units (61sqm). Each residential unit has large open plans, high-quality finishes, an abundance of natural light and ventilation, and unparalleled comfort that fits every resident. Additionally, just like every Avida Land’s highly revered condo unit, the Avida Towers Vireo’s every single suite is built with precise execution, high-quality materials, and aesthetically designed to appeal to everyone even after generations of occupation. This what makes this condo community so special, without the high price tag. Located in one of the most exciting business and lifestyle districts south of Metro Manila, Avida Towers Vireo is the latest masterpiece by Avida, the building arm of Ayala Land. Avida Towers Vireo is a stylish and contemporary residential and commercial mixed-use development that is set in one of the most strategic locations in the Metro Manila area. Avida Towers Vireo is located in the 74 hectare exciting, master-planned, destination of Arca South in Taguig City, Metro Manila, a very convenient 7 kilometers from the Makati Central Business District and 5 kilometers away from Bonifacio Global City and the Ninoy Aquino International Airport (NAIA). The Arca South enclave is located on the East Service Road of the South Luzon Expressway, and within the enclave, Avida Towers Vireo is on Caliraya Drive. Avida Towers Vireo is a well-planned residential project which incorporates all the advantages of city living with intimate, cozy spaces, giving you access the main street of ARCA South, a pleasantly green and walkable space that takes you to commercial and retail outlets, dining establishments, services and others, with facilities for leisure, recreation and entertainment for you and your family. To be built in phases, the Avida Towers Vireo development project Phase 1 Tower 1 will have 17 floors which comprise 14 residential levels, one commercial level, 2 basement parking levels. There will be 476 total residential units of which 350 will be studio units, 42 will be 1-bedroom units with balcony, 42 will be 2-bedroom units with balcony and 42 will be 3-bedroom units with balcony. The retail units will be located on the lower floors. Residential unit sizes range from 23-61 square meters, with a price range of PHP3,100,000 to PHP9,400,000. Studio Units : Studio units at Avida Towers Vireo are minimalist yet designed to allow you the space to work, live and play right here in the city. Studio units are approximately 23 square meters and are equipped with a single toilet and bathroom, a kitchenette, a living and dining area and a sleeping area. 1 Bedroom Unit With Balcony : 1 bedroom units at Avida Towers Vireo come with a balcony to give you that extra outdoor space in a cosy, compact 37 square meter apartment that is perfect for the single professional or a couple. A practical layout gives the spaces a sense of flow and includes a kitchenette, dining area, living room, separate bedroom and toilet and bathroom. 2 Bedroom Unit With Balcony : 2 bedroom units at Avida Towers Vireo also have balconies, where a little patio set provides a perfect outdoor space, allowing you the best of both worlds. An entrance area with a kitchenette and dining area that leads into a cosy living room allows plenty of living space, and the functional layout of the two bedrooms, set apart from the living areas, together with a separate bathroom and toilet allows privacy and rest. 3 Bedroom Units With Balcony : 3 bedroom units with balconies at Avida Towers Vireo have a nice floor space of approximately 61 square meters, with a practical and functional configuration that maximizes your living spaces, giving enough room for a small family to live in amazing comfort. 3 bedroom units come with a living area, 2 toilets and bathrooms with the master room enjoying its own ensuite toilet and bathroom. The finishes and fittings at Avida Towers Vireo will be of the highest quality, featuring laminated wood flooring throughout the residential units including the living/dining rooms, kitchen and bedrooms. Bedroom walls and ceilings will be painted concrete, while in the living and dining room, the ceilings will be moisture resistant gypsum. Units will be delivered with high pressure laminate kitchen countertops, and ceramic tiles in the toilets, utility rooms and balconies. The project is at a pre-selling stage and is expected to be completed in March 2021, so don’t miss out on this great opportunity to invest in one of the hottest properties in Taguig and Metro Manila today! Avida Land started in 1990 as Laguna Properties Holdings Inc. (LPHI), established by Ayala Land to increase its portfolio of real-estate offerings to the Philippine market. Later, the name of the company was changed to Avida Land, reflecting its position as a developer of quality, affordable value-for-money homes for Filipinos in comfortable, stylish and safe neighborhoods. Past projects by Avida Land have included Avida Towers Alabang, Avida Village Nuvali, Avida Towers Makati West and Avida Towers San Lorenzo. Live chat operators for your websites provided by Help Desk 24 7. 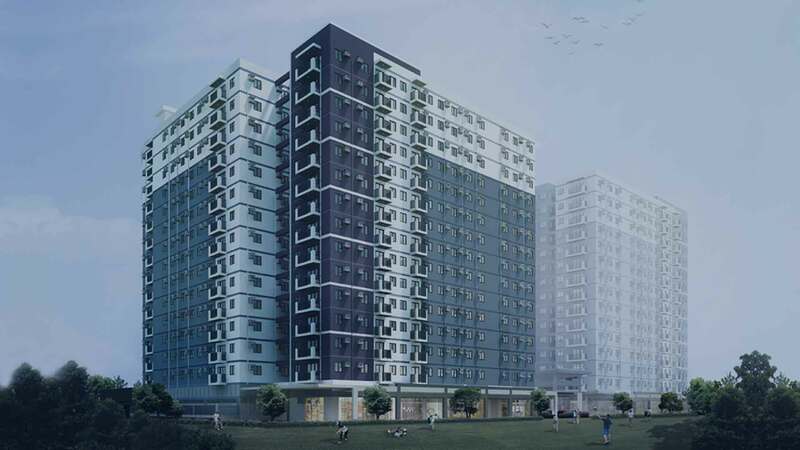 Avida Land Avida Towers Vireo in Taguig City, Philippines is a premier Condo project available for sale. If you're looking to rent or purchase Avida Towers Vireo, then check here first. We have full details of Avida Towers Vireo updated regularly as well as everything you need to know about the availing and booking process, broken down into stages that includes selecting a unit, choosing a payment plan and buying your dream home at the right price. For price list, free site tripping or showroom visit, personalized service, model house, unit plans, floor plans, payment terms, CHAT LIVE with an agent 24x7. We are Remax Perfect Homes. Always only buy from PRC licensed Real Estate Brokers and Agents. With a location in the heart of Taguig and inside the ARCA South, the Avida Towers Vireo is sure to command higher property value in no time compared to other high-end residential developments away from this highly-developed mixed-use property with Ayala Land innovations. This low-risk or shall we say, almost nil risk endeavor, will surely put your investment into a truly rewarding one in a short period of time. Incidentally, there are more than 300 companies operating inside the ARCA South which employ thousands of people in various fields of industry, such as BPO offices, government offices (LTO), malls and other shopping centers (like SM Hypermart, Ayala Malls Taguig, and Puregold), corporate offices (PSi Technologies, Temic, Vishay Philippines, Inc., etc. ), hospital (Qualimed Hospital), and several transport terminals, among other businesses and residential enclaves. Even if you step further from your doorstep, the Avida Towers Vireo offers more key destinations in its vicinity. The site is near several prominent schools such as the Technological University of the Philippines, Ateneo Graduate School of Business, British School Manila, Colegio De San Agustin, International School Manila, Australian International School, as well as hospitals like the St. Luke’s Medical Center in BGC, the Asian Hospital, Parañaque Doctors Hospital, and the Taguig District Hospital. Other nearby commercial centers include the Rockwell Power Plant, Ayala Shopping Center, SM City Bicutan, Venetian Mall, SM Aura Premier, Festival Supermall, and the Alabang Town Center, among others. The Avida Towers Vireo ARCA South is an epitome of an exemplary haven perfect for urban-seeking families and young executives who want a perfect location, heavenly built residential units, and first-class resort-inspired amenities within the community. On the other hand, the Avida Towers Vireo is also an ideal enclave for business people with their family in tow, expats, and young professionals who are exploring the city or have business ventures in nearby CBDs. And these people are willing to pay a lucrative sum every month just to have a unique place to stay better than a hotel, just like the Avida Towers Vireo with residential units with homey ambiance and where they could relax and play with its recreational amenities after a gruesome day in the office. You can rent out your unit, in short, medium, and long-term use while you are still paying for its monthly amortization. For more details about the rental scheme, you can have a chat with our licensed real estate broker on this website, chatting is free and will inform you all about this awesome property. Enjoy and relax more of the Avida Towers Vireo’s amazing amenities that include adult and kiddie pools, pool lounge, pool deck with sunbathing area, garden lawn, landscaped gardens, clubhouse, children’s playground, game room, function rooms, indoor gym, fitness area, and a grand lobby that has aesthetic design. The towers also have 24/7 security, Semi-addressable fire alarm and smoke detection systems, automated fire sprinkler system for each unit, water reservoir with separate water tank for fire, two fire exits per floor, telephone and internet ready cables provided, standby generator set for all areas, CCTV surveillance cameras in strategic places, materials recovery facility, centralized garbage system disposal, and green design building features, among other functional facilities.